Question: I’m familiar with the “true” ketogenic diet of 90% fat which historically is a medical diet used to assist in controlling seizure prone individuals, but it has the added advantage of being a fantastic way to shed weight while keeping the brain fed. In your RAPID FAT LOSS diet, you say it’s basically a ketogenic diet but without the dietary fat – why? If I were to choose between the 2 ketogenic diets, why choose 90-95% PROTEIN over 90-95% FAT???? Answer: The issue, as always, comes down to a matter of context. The original epilepsy ketogenic diet was developed, as you note to control seizures. And for whatever reason, at least one aspect of that was developing very, very deep degrees of ketosis. For this reason, a very high dietary fat content and lowish protein intake is necessary. This is for reasons discussed in Ketosis and the Ketogenic Ratio – Q&A. Protein has about a half anti-ketogenic effect and too much dietary protein can inhibit ketosis. Which makes the epilepsy diet not work. So in that context, the diet had to be set up with very high fat and low protein. And while such a diet may make people lose WEIGHT quickly, simply losing WEIGHT is not necessarily the goal. Rather, the goal is (or should be) to lose FAT while maintaining MUSCLE mass. I discussed this difference in some detail in the Rapid Fat Loss Handbook itself (as well as in every other of my books) or you can read the article What Does Body Composition Mean? That is, people who want to change body composition aren’t just interested in weight loss per se, they want to maximize fat loss while (generally speaking) minimizing the loss of lean body mass. And the simple fact is that a 90% fat ketogenic diet, due to the low protein content won’t do that. Rather, dietary protein has to be set at a certain level to avoid lean body mass losses. 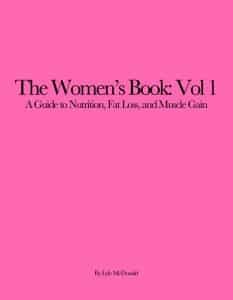 And since the explicit goal of the Rapid Fat Loss Handbook diet is to maximize fat loss (again while minimizing lean body mass loss) that also means cutting calories to the bone. That means reducing dietary fat to minimal levels (only essential fatty acids). And, mind you, such a diet would be wholly inappropriate (it wouldn’t work) for epilepsy treatment. And that’s your answer. If the goal were epilepsy treatment, the high-fat ketogenic diet would be the appropriate choice (I’d point anyone interested in this topic to The Ketogenic Diet: A Treatment for Epilepsy, 3rd Edition (Paperback) by Freeman, Freeman and Kelly). But assuming the goal is maximal fat loss with no muscle loss (e.g. the goal of most who read my site), a higher protein intake is required and the very high-fat version of the ketogenic diet would be wholly inappropriate. And, in the context of Rapid Fat Loss Handbook, given the explicit goals of that diet, that means keeping fat intake very low (limited only to essential fatty acids and the tagalongs that are unavoidable with whole foods). Of course, more moderate ketogenic diets with sufficient dietary protein and higher dietary fat intakes can also be set up as described in my first book The Ketogenic Diet. The rate of fat loss will simply be slower on such a diet due to the higher caloric intake. But that may be a reasonable compromise for reasons discussed in Setting the Deficit – Small, Moderate, or Large. Hope that clears it up and thanks for the question.